Home » Fortnite » Fortnite Reboot Van Guide – Locations, Reboot Card, and More! 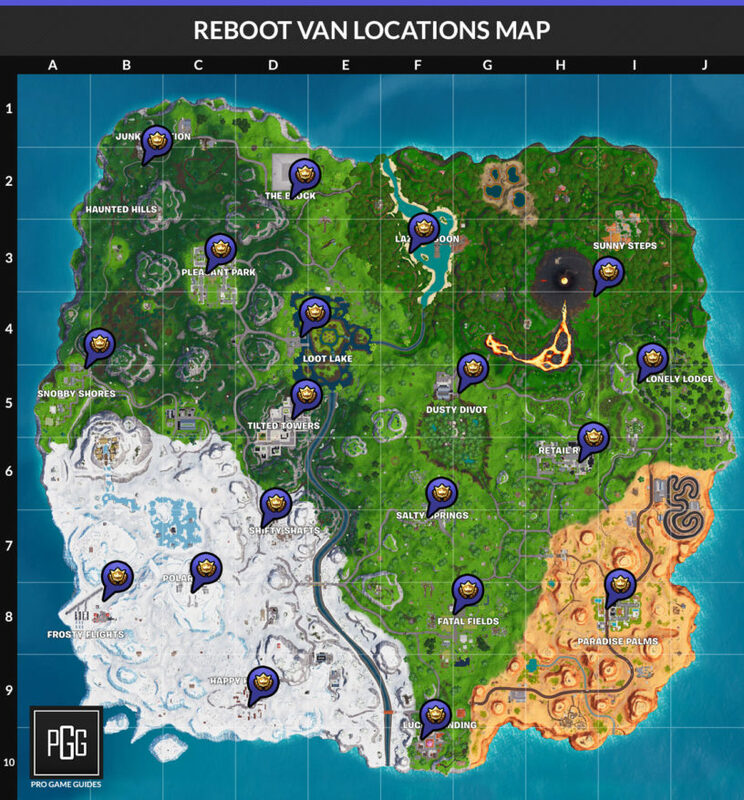 Fortnite Reboot Van Guide – Locations, Reboot Card, and More! 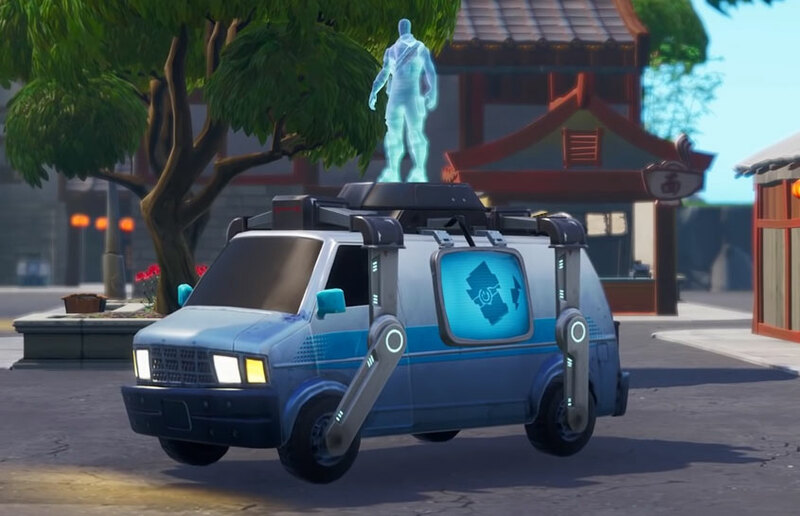 We're taking a look at the Reboot Van that will likely be coming to Fortnite! Our Fortnite Reboot Van Guide will walk you through everything we know about this newly added feature to the game! We've got all the information you'll need, including info on the Reboot Card, Locations of the Reboot Vans, use times, respawn items, and everything else you could possibly need to know. Now that the Reboot Van has been officially released, we now know that you can resurrect fallen teammates by picking up their Reboot Card and taking it to one of the vans. It operates very similarly to Apex Legends, in that your teammate will be brought back into the game, but instead of no loot you'll have a Common Pistol to at least have some ability to fight back. The kind of wrinkle on this system, is that you will have a delay before you can use it again. Regardless, it's a pretty nice system to be added to the game with all of the thirsting that goes on. The Reboot Van is available in all the major POIs, and the new Reboot Card will drop when a squad mate has been eliminated. You can then bring it to a van, and it will take 10 seconds to bring them back into the match. Once you've activated the van, a beacon and audio cue will be set off that makes it pretty obvious to anyone in the nearby area. Teammates are brought back into the game directly on top of the van one by one. Once you use the van, you won't be able to Reboot again for 120 seconds. You have 90 seconds to pick up your teammates Reboot Car. The Reboot Card does not take up an inventory slot! You have to engage the van for a full 10 seconds before your teammate is resurrected. Teammates that are "rebooted" will respawn with a Common Pistol, 36 Light Ammo, and 100 Wood. You can not Reboot again for another 120 seconds. The Reboot Card is what will need to be looted from your teammate that will allow for a resurrection. 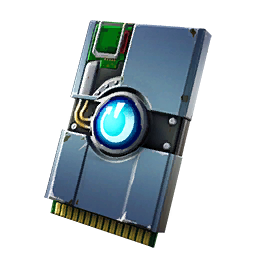 This is very similar to Apex Legends where you can grab your friends card, and bring it over to a respawn beacon to get them back in the game. The van itself will be the place you will need to bring that Reboot Card to bring back your teammate. If we compare it again to Apex Legends, when you bring your friend back they will likely return with no loot.